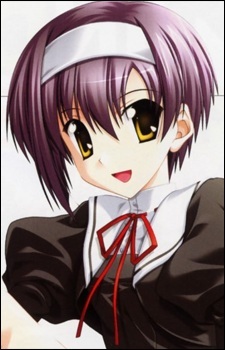 Kei is the main heroine of the second chapter in the story. She is Hiro's childhood friend and is one year younger than Hiro; she attends the same school as him too. She is also Hiro's neighbour, and she often has to go over to Hiro's house to wake him up if he had spent the previous night drawing his manga. She is very athletic and is the star player of her school's girl's basketball team. She is attracted to Hiro, and becomes jealous when she finds out how much time he is spending with Miyako Miyamura.